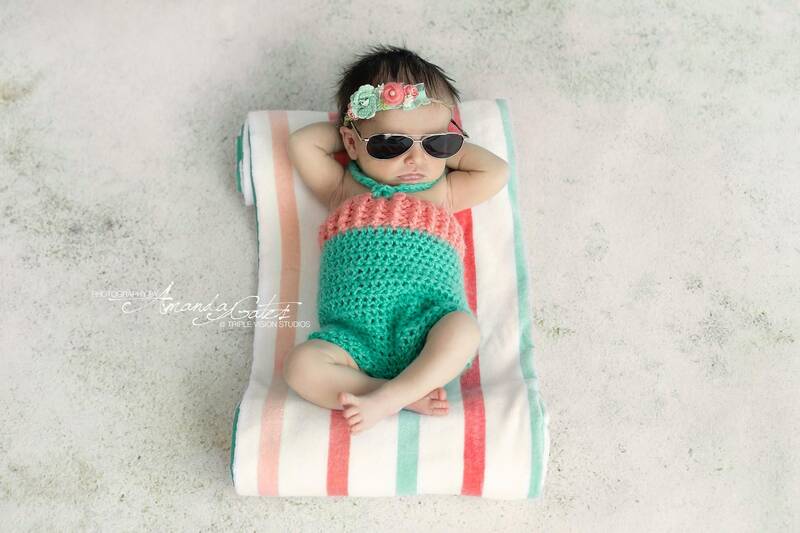 This adorable one-piece swimsuit is perfect for a beach themed for your little ones first photo shoot. You can dress up your new bundle of joy in this adorable bathing suit. This item is crocheted using soft, 100% acrylic yarn. It will stretch yet still keep its shape. This suit is available in a variety of colors. If you would like a different color please note during checkout, otherwise, the set will be made with the same colors as in the main picture. Please remember that colors may vary from screen to screen. This item is made to order. Please check my shop announcement for current turnaround times. If you need it sooner, please contact me so that we can work on setting up a rush order.